Elle Hatamiya dreams of being an Olympic weightlifting champion. If you are a 20-something who is still struggling to come up with a disciplined exercise schedule, then my friend, you need some workout motivation. Let’s get you all inspired and motivated and ‘lift’ your life a bit. 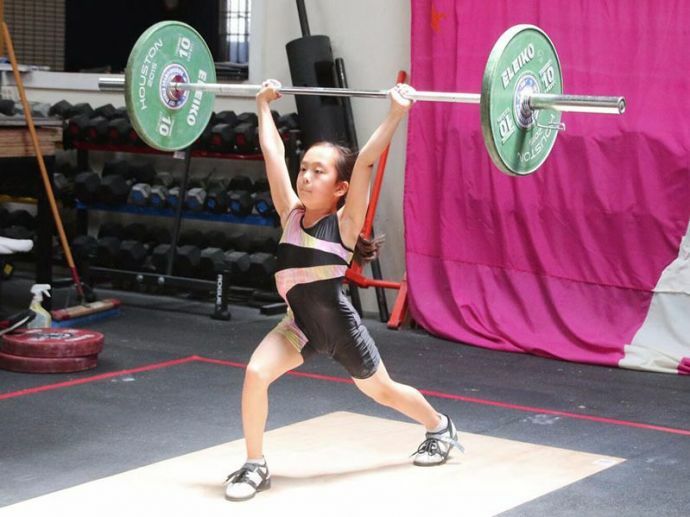 Meet Elle Hatamiya, a weightlifting champion, who is just 11 years of age. Before you bury yourself in shame, just scroll down and see her in action. She will definitely inspire you. Last June, Elle stood first in the 13U/11U 31kg division at the USA Weightlifting National Youth Championships in Austin, Texas. She dreams of being an Olympic weightlifting champion, and looking at her determination, we are sure that she is very near to her goal. Hope that her perseverance intimidated and inspired you.